With the risk of sounding like a broken record, I don’t believe 2017 was a great year for film. There were a lot more disappointment’s than genuine surprises or meeting of expectations and while as always there are a few diamonds in the rough, a general sense of “meh” seemed to waft over a majority of films released this year. You can sense audiences growing tired of certain franchises (Transformers, Pirates of the Caribbean etc) and hungering for new exciting ones (It, Wonder Woman) but overall there really wasn’t a lot of standout films coming our way, especially with filmmakers and studios forgoing more and more smaller budget affairs to instead turn their focus to tentpole pictures. Alas, below is a list of worthy films and those that were a part of them as well as a healthy dose of films that made 2017 stink it up. I like many others look forward to the silly season of quality content coming our way and look forward to a much brighter film landscape of 2018. Disclaimer: Due to Australian release date irregularities, some films on this list may’ve been released cinematically in 2016 while other 2017 films such as The Shape of Water, Lady Bird, The Florida Project, The Post and 3 Billboards Outside Ebbing, Missouri have yet to screen locally. Terrence Malick’s love story won’t be for everyone but after overcoming an early bout of unevenness, Song to Song becomes a touching and unique tribute to love, life and music and is one of the acclaimed directors most humanly relatable films. Read my review here. 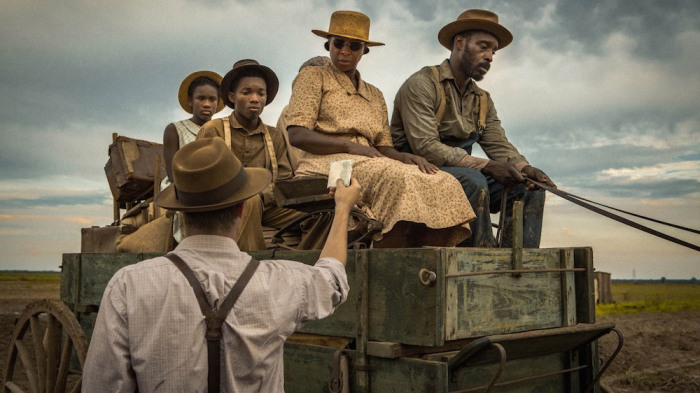 A powerful and impressively acted Netflix drama, Dee Rees’s film about two families from different backgrounds struggling to stay afloat in Mississippi during World War 2 isn’t easy viewing, but its essential none the less. Read my review here. Stagey by nature, Denzel Washington’s powerfully acted drama can’t be denied and the Hollywood heavyweight alongside Oscar winner Viola Davis knock their turns out of the park. Read my review here. Criminally underrated by critics and by audiences upon release, this based on a true story family drama is lead by a brilliant Woody Harrelson performance and features some of the years most emotionally powerful drama. Read my review here. The years most gripping thriller, Wind River marks the stunning directional debut of Taylor Sheridan and features awards worthy turns from its leads Jeremy Renner and Elizabeth Olsen. Read my review here. I had great worries about Lion’s ability to turn a captivating true life story into a memorable film but Gareth Davis touching drama is one of Australia’s great films and a deserving box office hit. Read my review here. Perhaps not the film people expected, Kenneth Longergan’s wonderfully written tale of grief, love and loss is a unique and memorable experience. Lead by Casey Affleck’s deservedly lauded and Oscar winning turn, Manchester by the Sea is a must-see. Read my review here. 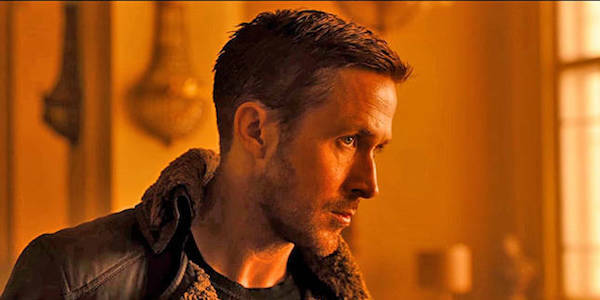 One of cinema’s great sequels, Blade Runner 2049 is both a visually captivating and thought-provoking science fiction experience and further proof that its director Denis Villeneuve is one of the world’s premiere filmmakers. Read my review here. A documentary of incredible power, Gleason is a life-affirming tale of ones desire to live against all the odds and also a film that shines a light on some truly incredible human beings. Read my review here. A war film that acts as one of the most intense white-knuckle survival thrillers ever made, Dunkirk is the newest Christopher Nolan masterpiece and one of the most visceral movie-going experiences to hit our big screens in some time. Read my review here. You can see where the filmmakers and their star Will Smith were going with this wannabe tear-jerker but the whole idea of Collateral Beauty just never rings true and this dire dud is a pretty shameful experience for all involved. Read my review here. The story of late rap star Tupac Shakur should be ripe for the biography treatment but this poor man’s Straight Outta Compton is a TV movie of the week gone bad, that fails to capture any of the energy or intrigue that surrounds the legacy of the great musician. Read my review here. Son of Ridley, Luke Scott, can’t create any genuine thrills or chills with this scare free horror/sci-fi. Silly, senseless and sub-par, Morgan is one of those films that fails to find a reason to exist. Read my review here. A boxing movie that fails to land any punches emotionally, this by the numbers true life tale of a fighting against the odd’s boxer may want to be the next Rocky but it’s nothing more than a pale imitation. Read my review here. I wish I was sleeping, that is what I thought when I sat through this tiresome and lifeless Jamie Foxx thriller. Read my review here. War on Everyone. Nope sorry guys not cool, not cool at all. Everyone loves a good cop/detective duo movie, especially one filled with bad mouthed and care free characters but War on Everyone is a misjudged black comedy that is neither funny nor interesting and wastes the talents of its two leads Michael Pena and Alexander Skarsgard. Read my review here. No one thinks the Mummy franchise from the 90’s is the pinnacle of modern day movie making but this Tom Cruise lead misfire makes those Brendan Fraser adventures seem like Oscar worthy events. 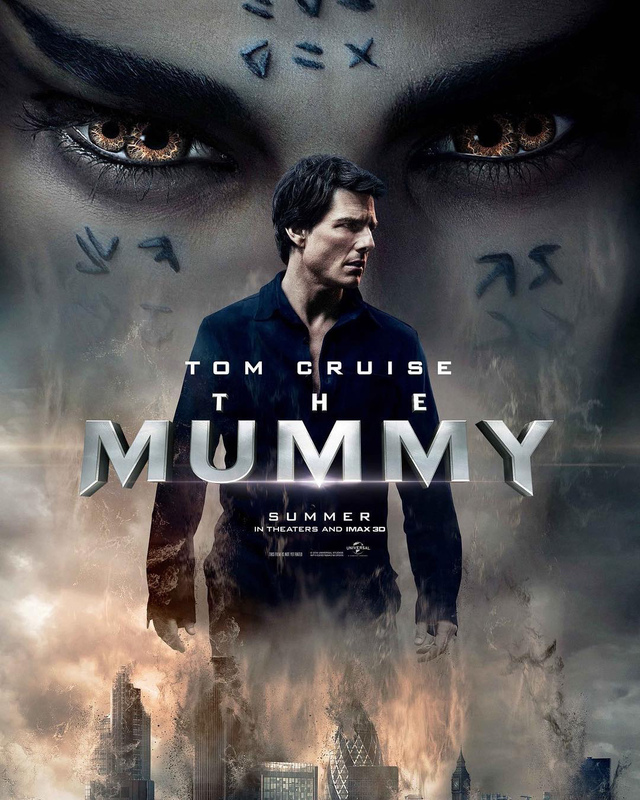 The killer to the Dark Universe franchise, The Mummy is worthy of all the bad press and one of its stars worst ever films. Read my review here. One of the most unnecessary series entries of any cinematic franchise ever, if you thought Prometheus was bad then give Covenant a very wide birth as this is easily the worst ever Alien film by a country mile. Read my review here. I’ve always enjoyed the popcorn nature of the Transformers films, even if they’ve never come close to the capturing the joy of the first instalment but The Last Knight is a bridge too far and a death-knell for this past its use by date series. Read my review here. I never expected Chips to be good but wow I did not expect to watch a film this bad. A reimagining of an old TV show no one cares about, star and director Dax Shepard really went off the rails with this crime against movie making. If you want to see a comedy that features zero laughs and embarrasses everyone that took part in it, then look no further. Read my review here. Christopher Nolan – Dunkirk may not have been the film we all initially thought we were going to get but Nolan’s war film that is more a pure white knuckle thriller focussed on surviving, not gunfights, is a masterpiece of modern cinema. Nolan’s focus on doing things practically and also differently too most of his peers makes Dunkirk stand-out of the pack and here’s hoping the Academy recognise Nolan’s significant achievement at next year’s Oscars. Adam Sandler – It may not have been the year’s best performance but to go from dire Netflix films and years of comedy duds to this, means that Adam Sandler deserves his name to be in this section. Sandler’s funny and touching turn as the struggling Danny in The Meyerowitz Stories is one of the comedians best ever turns and proof that there is more to Sandler than working with his best friends and making trashy comedies. Garance Marillier – A true star making turn, Garance Marillier was tasked with a tricky role in the controversial horror film Raw but she nailed it completely. Marillier’s character of Justine goes through quite the character arc but the young actress is totally in charge and a big career is hopefully ahead of her. Read my review of Raw here. Ridley Scott – The Martian was both an entertaining film and a big box office player but take that away and Scott has been struggling to make films of note for a number of years now. A supposed rebirth of the horror and thrills of the first Alien film, Alien: Covenant was a dire and unnecessary entry to the Alien series and further proof that the best of Scott has sadly come and gone. Gerard Butler – Oh Mr. Butler, it feels like such a long time ago when you made films like 300 and Law Abiding Citizen, good dumb fun pictures that made you a star. 2017 saw Butler unleash lifeless films Geostorm and A Family Man, films that showed an actor who can’t seem to care anymore and seems destined to live a life of acting mediocrity, unless some type of miracle occurs. Katherine Waterston – After breaking out in the last few years with roles in films like Inherent Vice, Steve Jobs and Fantastic Beasts and Where to Find Them, Katherine Waterson was earmarked as a new age Ripley before Alien: Covenant’s release but her heartless and unremarkable turn as crew member Daniels makes you wonder if the hardworking actress really has what it takes to be a Hollywood lead. 3. Popstar: Never Stop Never Stopping – A modern day This is Spinal Tap, this box office misfire from the Lonely Island crew is a smartly wound mockumentary and a biting satire on the modern music industry. Read my review here. 2. American Made – A whole lot of fun and the best Tom Cruise has been in years, this based on a true story action/thriller is a film you probably skipped at the cinema and a film you’d do well to check out on home release as soon as it becomes available. Read my review here. 1. Valerian and the City of a Thousand Planets – I won’t sit and argue with anyone about the cinematic merits of this Luc Besson bomb but critics and audiences really seemed to misunderstand the fun time Valerian had to offer on the big screen. Filled with colourful characters and more eye candy than 10 blockbusters put together, Valerian is the type of sci-fi event destined to become a cult favourite. Read my review here. Get Out was good, but was it really “that” good? 3. 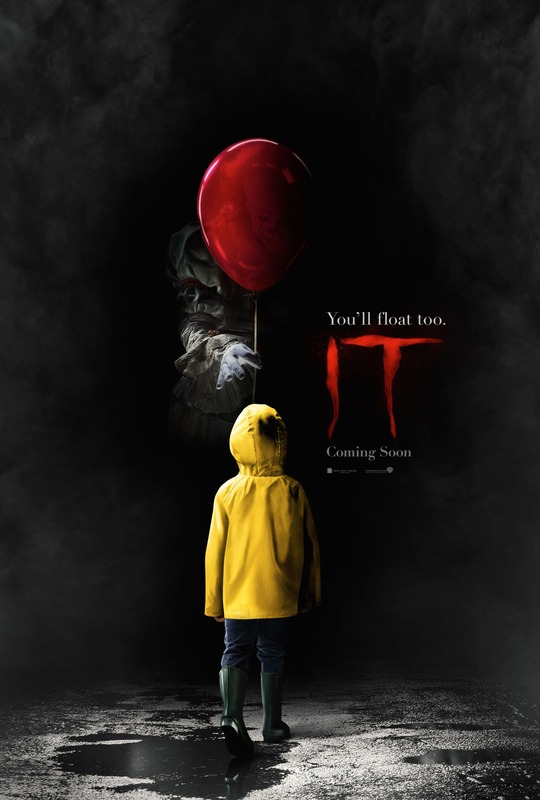 It – nothing is overly wrong with It, it’s well shot, competently acted and filled with some memorable scenes but the way in which the world went gaga for a horror film that’s pretty short on genuine chills and covers the same ground over a number of extended scenes makes It one of 2017’s great overrated features. Read my review here. 2. Get Out – You get the feeling Get Out will play quite heavily at the Oscars come February next year. This low-budget effort that seemingly came out of nowhere to take America by storm is unique in many ways but it’s a flawed film that is the very definition of a film coming out at the right place and the right time and hoodwinking people into believing this is something more than it in fact is. Read Jordan’s review here. 1. Wonder Woman – We’ve spoken a bit about Wonder Woman on the blog this year and while it’s not a bad film it’s also not the film many have championed it to be. Filled with a rather generic storyline and some quite forgettable action, Wonder Woman is a comic book adaptation that hides its middle of the road nature behind the fact it has a female with a lasso taking on bad guys. Read my review here. The Dark Tower – So much potential wasted on such a forgettable film, fans of Stephen King’s opus have been waiting for a long long time to see The Dark Tower hit the big screen but this was certainly not the outcome they wanted. There’s hope that one day still a great Dark Tower movie may find its way to the big screen, but this 2017 effort doesn’t exactly get the hopes up. Read my review here. Logan Lucky – Returning from a very short lived retirement, what possessed Steven Soderbergh to come out of hiding and make this redneck heist film will remain a mystery but this fun, fast and star-studded caper was a surprising delight that should live a long and prosperous life with ample TV runs. Read my review here. Minimalistic but instantly recognisable, the marketing of It which includes the poster design is a huge reason why this horror film become one of the top grossing films of all time. For a big budget film, this drab poster looks decidedly budget and tries to sell you on the film purely on Tom Cruise alone. It (Georgie meets Pennywise trailer)- Not so much a typical trailer but what a cool marketing ploy! Appearing in cinemas with an introduction by author Stephen King, this opening scene clip did more work in the advertising department than any normal trailer would’ve done. Jumanji: Welcome to the Jungle – Not funny, not cool and seriously, a video game instead of a board game? Way to ruin our childhood memories Hollywood! If only the rest of the movie was as taught and well-designed as this scene! Sends the creepy meter way past 11. Two actors at the top of their game working with a first-class script, this touching scene towards the end of Manchester by the Sea is unflinching and realistic as it gets in cinema. After what feels like 100 plus minutes of unrelenting tension, Nolan takes the foot off the pedal for a few moments as we glide along the near deserted sand-scape of Dunkirk beach with Tom Hardy’s pilot. Setting in motion a moving and memorable last few minutes, Nolan once more showcases that he is just at home with small human moments as he is with outstanding IMAX shattering sound and visuals. What films made a mark on your 2017? We’d love to hear what you loved and hated about the year gone by in film in the comments below, so please drop us a line! I still can’t get over how badly it missed the mark. Should’ve been so much better! I’d put ‘Dunkirk’ as the most overrated film of the year. Hollow story, one dimensional characters, loud and noisy. Sure, it’s well made, but just like Pixar, nice visuals are expected these days from Nolan. I still want a good story! I would’ve loved to see a real narrative Nolan war film but for the experience he was aiming for, throwing us into the very window of survival in a time of unimaginable odds, it was an incredible visceral and gripping event. Let’s agree to disagree. I got bored watch this. Again, there was no story. I am a massive supporter of Nolan and feel his still yet to make a “bad” film. Don’t get me started on its representation of women!! I agree that this year was bad for movies and there were some movies I was surprised didn’t get the attention they deserved. I thought Wind River should’ve been nominated for a Golden Globe or SAG award it handled today’s topics well. One of the Awards had Get Out in the Musical/Comedy category which I found odd. I also loved Logan Lucky and thought it was something new for Daniel Craig. The young girl from Logan was nominated but no one else from the film was. Hugh Jackman does most of his acting with his facial expressions, showing each emotion clearly through out the film. I’ve given up on Awards and Critics. I like what I like. Your not to far from the truth there at all! Wind River was always going to be largely left out of the awards season as its just not hot topic or mainstream enough for that crowd but its a fantastic film regardless. I am very interested to see where the Academy goes with their nominations. I just hope Wonder Woman doesn’t get to many token nominations. I like the list, I’m intrigued to hear your thoughts on some of the 2017 movies that haven’t been released in Australia yet. So keen for them! I really can’t wait to watch The Florida Project, Lady in Water and Lady Bird in particular. Do you only watch new movies? Some great picks for your 1 and 2nd mate 🙂 enjoy all the quality films coming up. If Blade Runner 2049 and Dunkirk do not get Best Picture nominations, I will riot! Oh man I fear for Blade Runner’s chances sadly. Just not a topical film for the old Academy voters looking to keep the peace with various minorities and hot topic agendas. Haha that was fun to read! Agree on most things. Morgan was horrible indeed, I remember watching it. Not sure which one was worse, Covenant or Morgan. Oh they’re both very very bad ha. Alien has less excuses though. Get Out as overrated? I don’t know about that one lol. And Manchester by The Sea was 2016? Personally, I liked Get Out too! In regards to Manchester, as Ed mentioned, this is based on Australian release dates. I liked Get Out Alex, but a soon to be Oscar nominated movie is not what I thought it to be personally. Fair enough lol. Great post though. I agreed with the majority of it. I’d rate BR2049 way over the very over-rated Dunkirk. It seems every Nolan picture is over-rated. Interstellar was incredibly dumb and no 2001, and likewise Dunkirk was not the masterpiece so many critics would have us think. But BR2049 was a brilliant tone- poem that proves that sometimes sequels can be worthwhile, and even inform and expand on originals. I find Nolan constantly great mate but glad we can agree on BR2049. Thanks for your roundup. I always enjoy reading your reviews. I agree with the Biggest Disappointment. After reading the books in the Dark Tower series, the movie was so not-even-close to what King wrote, I had trouble following it. We always must be patient with adaptations, but this was unforgivable. As a writer, I’m one of those people who pay attention to book covers. So posters for films catch my eye as well. Because they’re really awful or they’re really great. The simplicity of the poster for “It” and its ability to spark a memory for those who know the story are its greatest features. Good call on that one. Cheers! Glad to hear you agree. I truely hope a good Dark Tower can be made in the future. Alien Covenant was such a big disappointment. I nearly fell asleep. Why can’t they leave it alone?! I think they might now that Covenants box office was a big letdown.